What's Wrong With Canada Today? George Galloway has surfaced in Canada with a public speaking tour across the country. When he tried to do the same thing in 2009, they barred him from the country. Since on that occasion a Calgary Member of Parliament managed to get him barred from the country. But this time they’ve allowed him to enter the country. And so, of course, the protests and protestors have started. Apparently it’s normal for George’s inspiring the usual protests that typically follow his public speaking events. And this Galloway Calgary speech was his first effort. The former Westminster firebrand took the theme of, “What’s Gone Wrong with Canada,” for his speech in the MacEwan Hall at Calgary University last week. He treated his sizeable audience of some 750 students and others to an outburst aimed at Canadian politicians and also Canada’s media. Their offence? They had the audacity to support Israel in its tangles with Hamas…and no doubt the audacity to bar George from Canada in 2009. By all accounts his audience was thrilled with this Galloway Calgary speech. Because there’s no denying his passion for the subject of Palestinian human rights. And if his Calgary speech inspires others in the audience to share that passion…then, that’s a success for him. His audience might want to note, of course, about his former constituency. Because the largely Muslim and ethnic minority constituents in his Parliamentary constituency of Poplar and Limehouse, East London, grew tired with his posturing. And, then they threw him out at the General Election in May 2010. He received 17.5% of the vote and therefore came third behind Labour and the Conservatives! That’s the passion of firebrand politics. Because some times you are on the up and sometimes you are not. 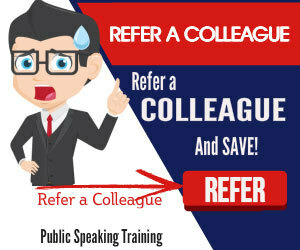 Of course you can always discover more about public speaking with our series of techniques and tips for speakers. So, you can read the posts, listen to the podcasts or watch the training videos. 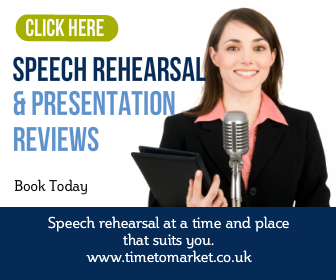 And, when you are ready to push your public speaking skills to higher levels, then please don’t hesitate to get in touch.